We recognise that learning takes many forms and are delighted to welcome home educators to visit our Museum on any day during our open season (30 March to 31 October 2019). Annual Pass holders can benefit from free entrance throughout the season, and we are pleased to offer non Annual Pass families who home educate, a reduced admission rate of £5.50 per child on weekdays during the Bucks school term. Adults will be charged at the standard admission price. The Museum runs special themed home education learning days. The next learning day will be on Monday 20th May 11am – 3pm and will have a Victorian theme to celebrate the 200th Anniversary of the birth of Queen Victoria. 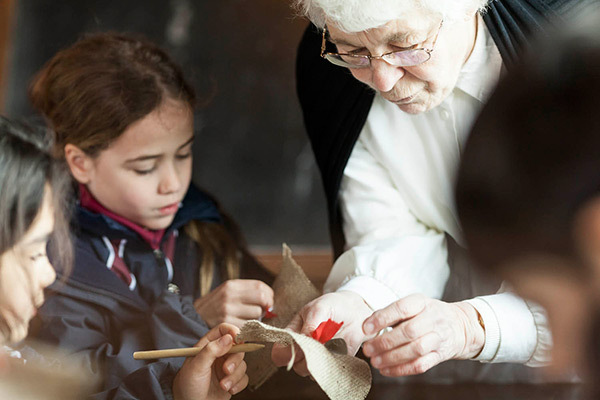 During our Victorian themed Home Educator day we will be celebrating the 200th anniversary of Queen Victoria’s birth, children will discover the Victorian way of life through many of the Museum’s real Victorian buildings. As your children explore our historic spaces they will be able to step back in time. Families will be able to explore our Victorian toll house, investigate Victorian farm buildings, compare the kitchen in the home of a farm labourer with the kitchen of a wealthier family and hear the organ playing inside our Victorian tin chapel. For further information and to book your places online, please click here.